Fusion Maia Da Nang is a boutique resort offering a holistic experience with all-inclusive spa treatments included in the room rate. We took a moment to catch up with Kate Gerrard, our consulting chef that helped us to create our breakfast sprinkles that are on our breakfast buffet. Read more to learn how to make these at home! How did you come up with the ideas for the sprinkles? When I was looking at all the items we had on offer I felt like there was a little bit of ‘magic’ missing. To add a healthy super boost, make it extra pretty, and not only add interesting tastes and textures to pretty much every dish sweet or savory allows guest to play with combinations they like the best. Once I started, I couldn’t stop creating! With up to 40 types of sprinkles available at Fusion Maia now with the breakfast buffet – this is how the Fusion Maia sprinkles were born. What is special about the Spirulina Gomashio Sprinkle ? 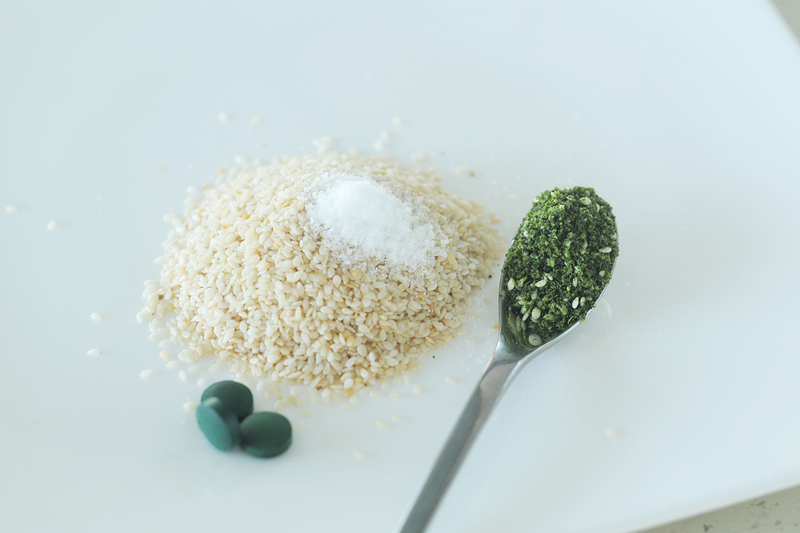 Spirulina is an algae, superfood and a plant source of protein, vitamins and minerals. In fact a human could survive on spirulina alone, but that is a little extreme and no highly recommended! Gomashio is a Japanese seasoning made with sesame seeds and salt, used to sprinkle on rice or onigiri. Sesame seeds contain cholesterol lowering phytosterols and are an excellent source of vitamins and minerals. This little sprinkle combination adds an excellent dose of superfood and it’s ideal with your salad, eggs, salmon, rice, congee, noodles and yogurt if you like a little savoury flavour. 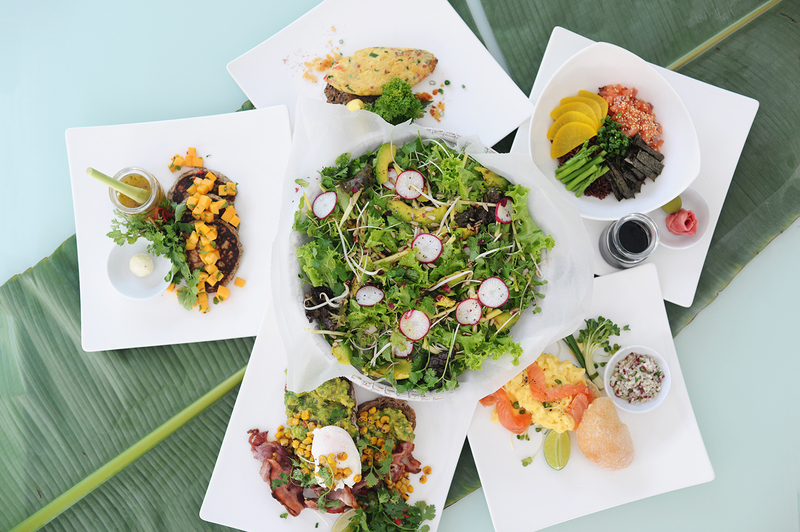 Try it on your lunch too from pizza, pasta, fried rice, salad – you name it. 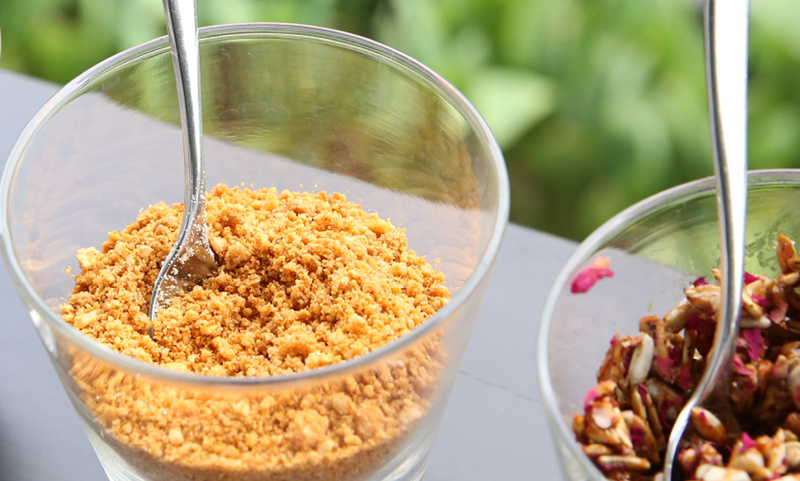 It only takes a few minutes to make and can be kept in an airtight container for a few weeks so it’s a perfect Fusion Maia sprinkle magic to add to your pantry at home. When would you recommend the Cashew Nut & Paprika Sprinkle? If you are vegan and have a craving for a bit of cheesy flavor, add some nutritional yeast to this mix and sprinkle on your pasta and you will feel like you are eating a parmesan cheese! Cashew nuts are full of vitamins and minerals while the paprika is a tasty spice that is packed full of antioxidants. All we do is blitz up the cashews with a touch of salt and paprika to create this raw food, vegan sprinkle. Is it easy to make these sprinkles at home? What are your tips? These sprinkles could not be easier to make! They will both take under 5 minutes to prepare and will last in an airtight container and even better if refrigerated. I would have these in my pantry and play with them, depending what I’m in the mood for! They will definitely add a lift to your dishes in taste and nutritional value and you can surprise your own guests with this bit of magic. 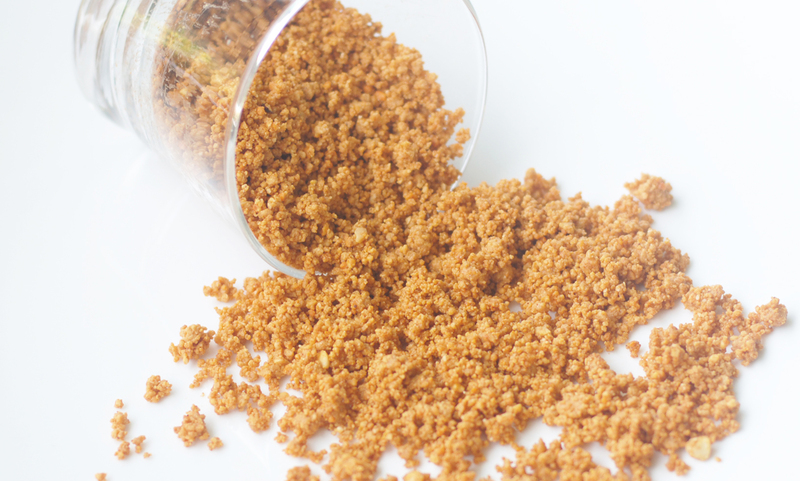 We’d love to share the Fusion Sprinkle recipes with you! 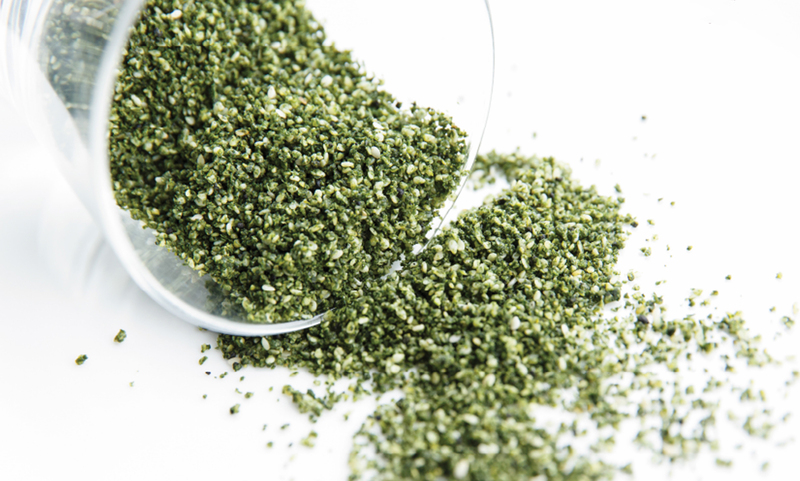 Place spirulina into mortar and pestle and grind into powder or use powder format. Place all ingredients into food processor and grind to powder. Store in airtight container. Sprinkle on cereals, salad, fruit or even beef as you wish! Place all ingredients into a food processor and grind into powder. Store in airtight container. Sprinkle on salads or vegetables as you wish! Last question for you. What inspires you when working on wellness food? I always like to make food that makes people happy! I also believe that there are SO many different diets, lifestyles not to mention cultures. The wellness food trends are forever changing and evolving and no sooner has a product been launched into superfood stardom and shortly after knocked from its pedestal by another product or more research. I am of the belief that there is not just one magic answer in terms of nutritional health, we are all different and what suits one may not work for another. I believe that a predominately plant based diet is a good idea for everyone, but I also believe in choice as well as taking responsibility for lifestyle choices. When one is taking part in your own nutritional wellbeing a shift occurs and old habits naturally change. It was with this in mind that at Fusion Maia, we are offering a range of choices, including comfort food plus a good dose of vegan, gluten free, superfoods and of course sprinkles in between!